Since I’ve been back at home after finishing my second year of Uni, my skin hasn’t been that great. For so long I’ve stuck to the same skincare routine, which was using the basic Cetaphil range. I’d decided to strip it right back to something gentle and easy a while ago, which at the time seemed to work, but now not so much. I’d been using Garnier’s Micellar water to remove my makeup, washing with and moisurising using Cetaphil. 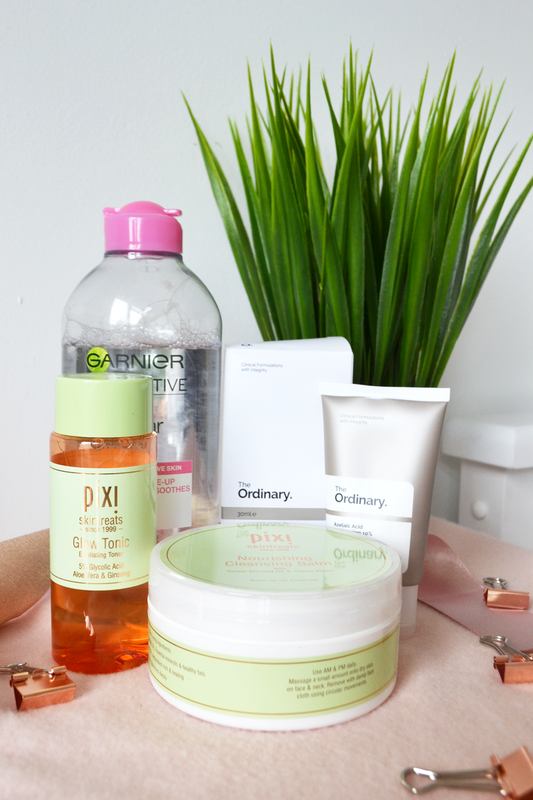 Being a blogger, it’s difficult not to want to try the latest beauty products beinf raved about, so when ASOS had a 20% off deal on, and I had built up a few vouchers on their A-List system I decided to make a purchase to try a few more bits. I’ve been sticking to using Garnier Micellar Water to remove the most of my makeup, especially when I have a lot on. I use this just to remove the majority, then onto the Pixi Nourishing Cleansing Balm to give my skin a real deep clean, ensuring every little bit of makeup is gone. I’ve seen balms pop up across a lot of blogs in my time, and always wanted to give them a go. After using this I think I may be converted!!! 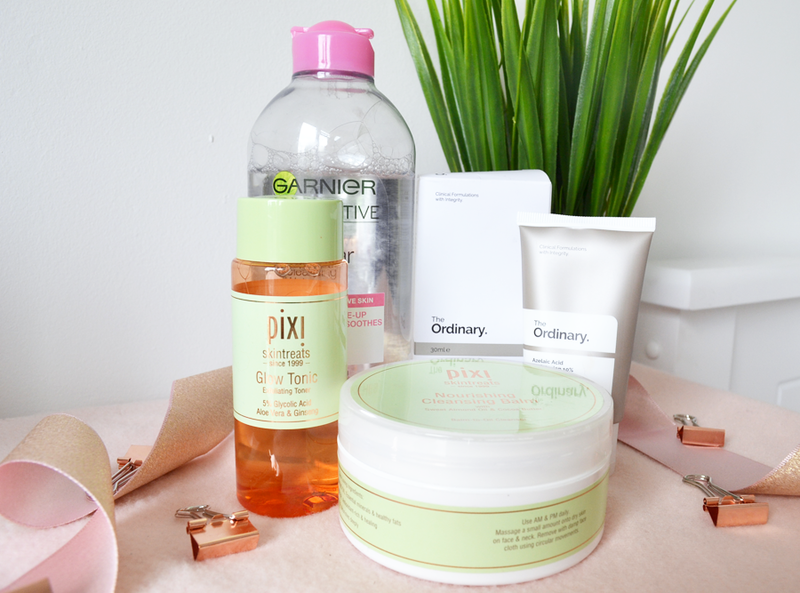 I’ve then been using the Pixi Glow Tonic (when I’ve remembered to). I’ve been wanting to try this for a while and won this cute little bottle in a giveaway. To finish my skincare I’ve used The Ordinary’s Azelaic Acid Suspension 10% to help brighten my skin, with my old trusty cetaphil moisturiser to finish off my routine if my skin needs a bit of hydration. This far I’ve loved using this routine, and despite a couple of those pesky under the skin spots cropping up I think it’s working, and my skin is on the way to improving! I’ll be giving a full review of each of these products in the future so keep an eye out!